This chardonnay from Cloudy Bay really pours it on. What a wild beast this chardonnay is. It?s loaded up with funk and struck matches and yet it?s powerfully fruited too. It?s an outstanding wine in the funkified style. Melon, grapefruit, lime, fennel and smoky flinty notes aplenty. Great persistence. Satiny texture through the mid palate but tart and smoky through the finish. If you like your chardonnay clean and/or understated then this isn?t for you; otherwise, it?s wonderful. 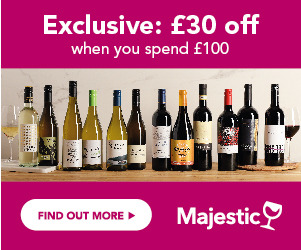 I watch out for this wine on offer, so should you! Waiting for a good deal on Cloudy Bay Chardonnay? Enter your email address below and we will email you when it's on offer at 25% off or more! The Wines Direct Price Alert is a free service. In return, we just ask you to write a short review of Cloudy Bay Chardonnay to help other customers learn about it.